'Tis the season for craft beer and baseball in Winston-Salem. The Winston-Salem Dash is our minor league baseball team here, they are a Class High-A team in the Carolina League, are a farm team of the Chicago White Sox and named after the hyphen between Winston and Salem. I have to admit: I know nothing about baseball and nor do I care about it. But I care a little bit about hot dogs. And a whole lot about beer. Over the past few years, my city has been defining its culinary heritage and legacy. As a whole, I think we're a coffee-drinkin'-doughnut eatin'-hot dog slingin'-beer lovin' town. We know what we like and we welcome guests see our rich past and help define the future. While you're facilitating all of that, you should catch a game at the state-of-the-art BB&T stadium, enjoy a Foothills beer and you might as well get to know us while munching on a local hot dog as well. 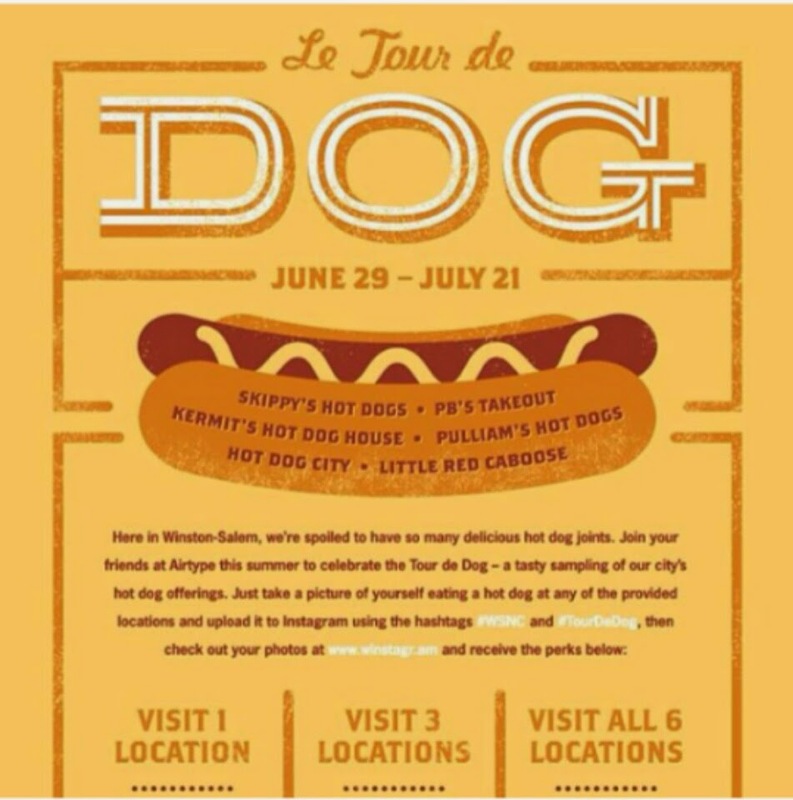 Airtype, a creative design firm, came up with this self-guided hot dog tour of Winston-Salem. 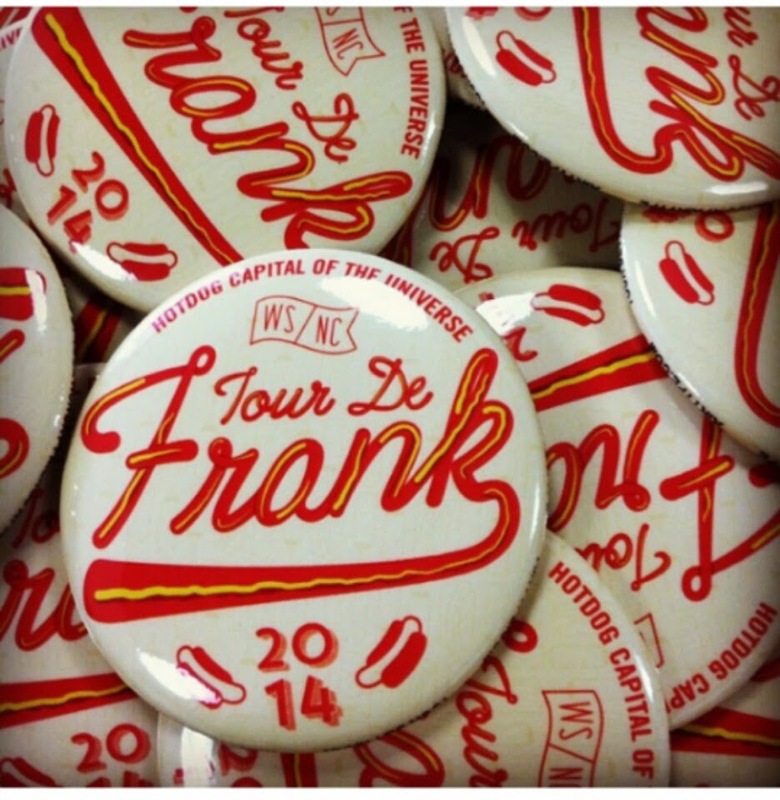 When visiting Winston-Salem, take your own tour! Don't forget to enter the NC Beer Month Beer Getaway!